Kay's Crafty Designs: What I've been up to. 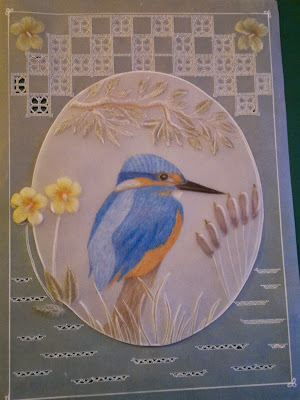 I've been to a Parchment and Colour workshop again with Karen Shaw and it was wonderful. We did two different colour pencil pieces -which I found I love doing- and some Parchment crafting also. The latter is driving me crazy due to my lack of focus. I have started the same piece 3 times and just keep loosing focus on the top pattern. I eventually sorta worked it to cover up all my mistakes but it is still a work in progress. Here is that piece. 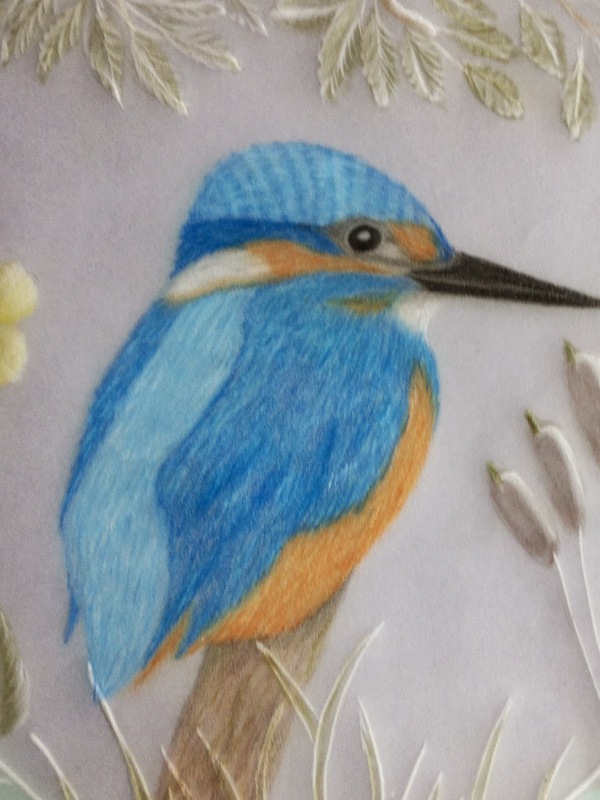 The Kingfisher was cut out and the main piece will eventually frame it. I still have a lot of snipping to do. Here is a close up of the Kingfisher. This is my other piece. 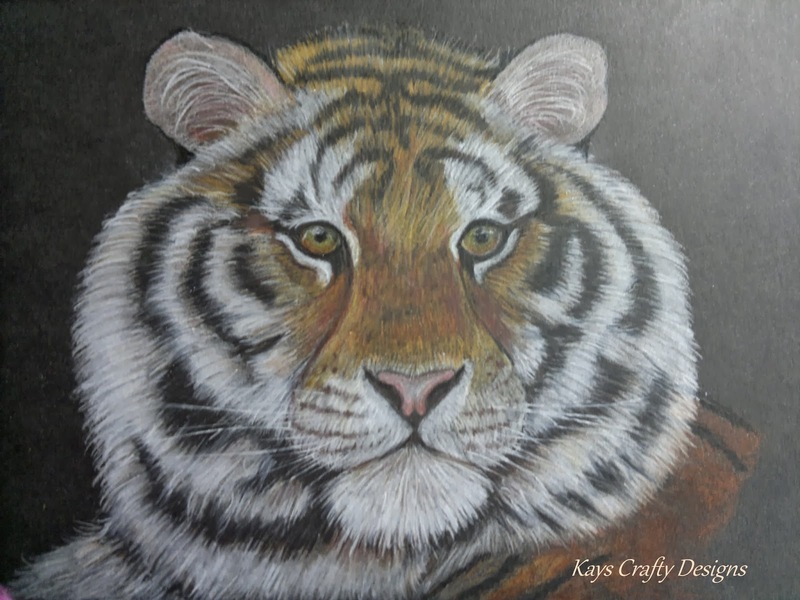 It is a tiger's face on black card. A bit of a challenge but I managed to finish him. I'll be back soon with some cards I've made. Wow, they are fantastic. I love them. Aiveen. Oh WOW Kay.....These are both absolutely stunning!! The colours in both are gorgeous and really show the amazing amount of time and effort gone into the detailing of the images. You are so talented! !